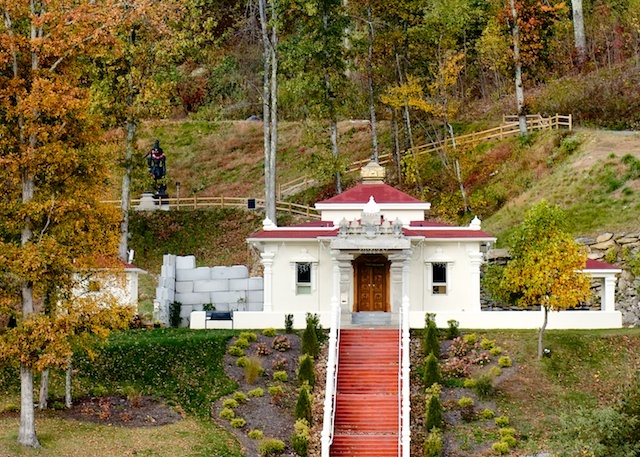 Mount Soma has been created as an educational, cultural, economic, and spiritual bridge, unifying all of mankind. Because Mount Soma’s teachings are universal, it fulfills the world’s longing to understand, unify, and harmonize all fields of knowledge, be they Eastern or Western. Śrī Someśvara lies at the heart of Mount Soma and acts as a unifying and driving force behind these efforts. Veda, the unifying core of existence, offers fundamental technologies to nourish and awaken humanity to that one Source of all life and existence. Within the Veda, the rationality of science and the grandeur of the Divine merge. Though we live in a time where a wide range of spiritual and scientific perspectives often directly oppose one another, that one unifying source supports every individual, regardless of their personal, religious, or philosophical affinity. Through strict adherence to ancient Vedic principles, Śrī Someśvara is dedicated to the practice of Vedic technology and the enlightenment of humanity.